The most recent fishing report for Missouri/Kansas is up at The Kansas City Star! Heavy winds kept most people off the water, but some brave souls made it out. Fish were biting if you could handle the gusts. I usually shy away from that because I’m not so brave! 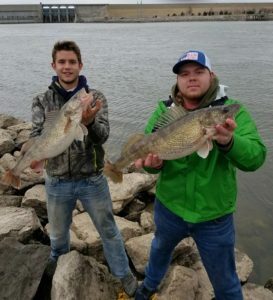 The Truman Lake Area Fishing Facebook Group shared some photos of some giant walleye being caught below the dam at Truman Lake this past week.